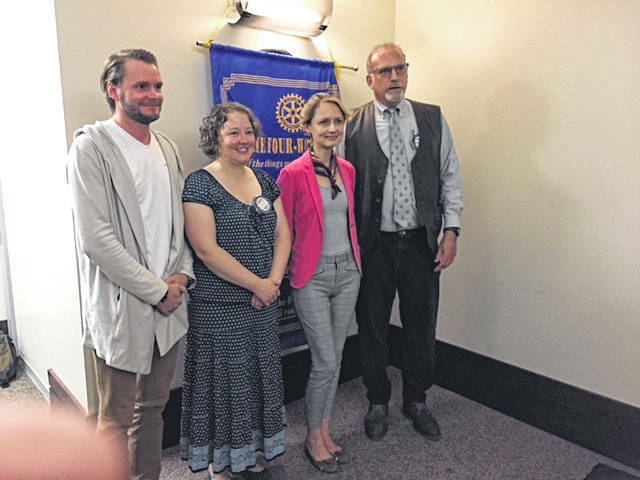 Guest speaker at the Gallipolis Rotary Club on June 5 was Fulbright Scholar Dr. Anastasiya Luzgina, Director at Belarus Economic Research and Outreach Center. Pictured with Dr. Luzgina is her husband Mikalai Autushka, Rotary President Jenny Evans and Richard Sax, URG. Gallipolis Rotary recently donated $300 to the 2018 River Recreation Queen’s Pageant Scholarship Fund and a $50 money gift for the Miss Firecracker Fund. 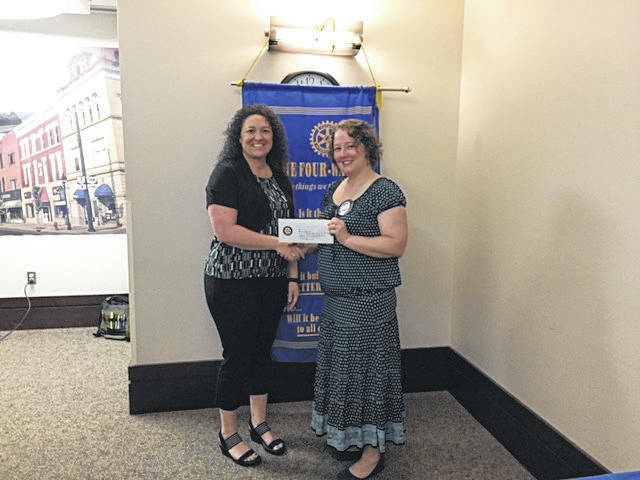 Presenting the check is Rotary President Jenny Evans to Jamie Pratt, director of the pageant.